Natural Bridge At Bryce by Martin Micale - 10" x 8"
Natural Bridge At Bryce poster by Martin Micale. Our posters are produced on acid-free papers using archival inks to guarantee that they last a lifetime without fading or loss of color. All posters include a 1" white border around the image to allow for future framing and matting, if desired. 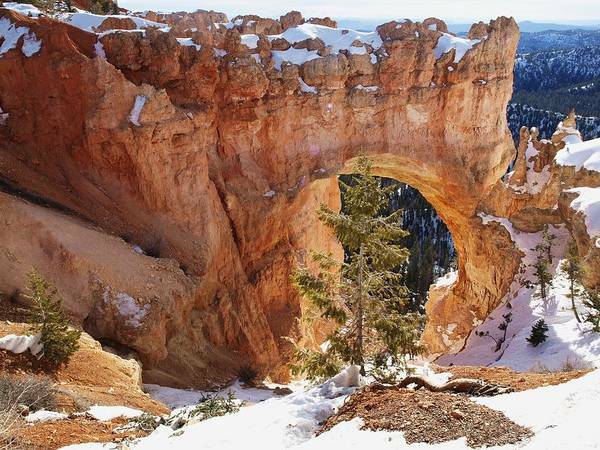 There are no comments for Natural Bridge At Bryce. Click here to post the first comment. 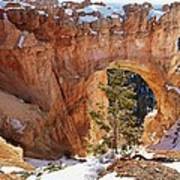 This was taken at Bryce Canyon on a cold February day. I was born in Ohio, lived in Michigan as a child, moved to Arizona where I lived most of my life. I currently am pastor of the Lake Powell Church of The Nazarene in Page, Arizona, the center of the Golden Circle. I have worked in photography for the past forty years. 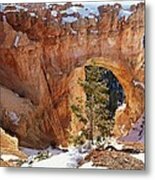 I take photographers out and photograph the canyons in this area, of which there are more than a hundred. My wife and I travel around the country enjoying the beauty and taking pictures of God's amazing creation. 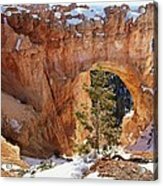 When you are in the area give me a call and we'll go see some of the amazing beauty here. Bring a camera and some good hiking shoes. Be ready for a great adventure. Call me at (928)645-2195 or my cell at (928)614-0790.